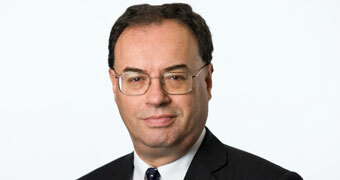 Speech by Andrew Bailey, Chief Executive of the FCA, delivered at the launch of the St Mary’s University School of Business and Society, London. The financial crisis of a decade ago, and the subsequent revealing of serious conduct problems in too many areas of financial services has without doubt severely damaged any sense of trust. Trust has a moral and ethical dimension to it, and it involves commitment. My view is that trust in finance has changed over time. It is a great pleasure to be here today at the Mansion House to mark the launch of St Mary’s School of Business and Society. First of all, let me congratulate everyone involved. Ruth Kelly has given me a very clear sense of how important it is, not only to building on the success of St Mary’s, but also as a concept which fits the ethos of St Mary’s. What’s in a name – the choice of Business and Society is both novel and obvious, and therein lies the opportunity. Its novel because I don’t know many business schools which include the word Society in their name, and it's obvious because of course they should as business is so obviously deeply intertwined with society. You have set me the task of talking about trust and ethics. It’s not a small subject, nor is it an easy one, and of course it is by no means a subject unique to the world of financial services. But the financial crisis of a decade ago, and the subsequent revealing of serious conduct problems in too many areas of financial services has without doubt severely damaged any sense of trust. And that process is not over in all areas, witness the Royal Commission in Australia. So, I am going to spend my time today having a go at defining what is trust: considering what has happened over recent times; assessing whether it is different for individuals and institutions; and suggesting some routes forward. Have you heard the one about the economist, the philosopher and the psychologist? The economist defines trust in terms of rational self-interest. You trust when it is in the interest of the other party to help you. The philosopher is more touchy-feely. You trust those who you think are good natured and care towards you. The psychologist thinks that trust is about reciprocal altruism. You trust as long as the other party does not let you down, which can create a stable and rewarding strategy for all. Note, I have not introduced a lawyer or a regulator into this account. Adam Smith was both an economist and philosopher – he didn’t profess to be a psychologist. He embodied the first two of my definitions in his 2 great books. Smith believed that in order to perform, economies depend on the presence of functioning moral systems that can separate good from bad. Trust therefore has a moral and ethical dimension to it, and it involves commitment. To be trustworthy we have to meet our commitments to others, and that in turn depends on us knowing how they have interpreted our commitments, the hope they have put in us. There is an inwardness here, the more trusted you are the more opportunities you will have to show and demonstrate that trust. We have seen that in financial services – but once trust is lost, it is hard to recover. Trustworthiness demands 2 things: knowledge and skill; and good intentions and honesty. One of these is more technical in nature, the other more moral and ethical. From time to time I receive quite passionate advocacy that, particularly for banking, we should turn back the clock to a golden age when the entry qualification was to pass banking exams. Up to some point of course knowledge and skill matter, but the distinction drawn with good intentions and honesty demonstrates that there is more to it to be trusted in financial services, or any walk of life. Trustworthiness demands 2 things: knowledge and skill; and good intentions and honesty. And, both necessary elements of trustworthiness need to be demonstrated to those who trust. I can put an exam certificate on the wall for all to see, but trust depends on solving the conundrum that there isn’t an independent source to prove honesty and good intent. Merely announcing that 'my word is my bond' does not do it in practice. Nor on its own does relying on past evidence. This all goes to show that the judgment to trust is not an easy thing to identify. It contains an expectation of future behaviour, an identification of common interest and values and the development of a reputation. A very important question is whether trust in finance and its providers changes over time, and if so, why and to what effect? My view is that it has changed over time, and we can learn quite a bit from understanding why. The political scientist Eric Uslaner has produced a pretty comprehensive assessment of the overall measurement of interpersonal trust in the USA. He concludes that since 1960 there has been a sharp decline, something he attributes to society becoming less inclusive and 'civic' and more individualistic. The Pew Research Center has measured trust in the US, and to some degree elsewhere, through regular polling over time. It finds a long-run decline in public trust in Government in the US, going back to the 1960s. In Western European countries it finds that trust in the military exceeds that in banks and financial institutions, parliaments and the news media. Among banks and financial institutions, on 2017 data, UK firms scored just above the medium for Western Europe. I want to illustrate this trend of declining trust by spending a little time on the history of senior executive remuneration in the US. My starting point is the period from the end of the Second World War until at least the early 1970s. What is striking is the absence of emphasis on pay for performance, and the rejection of excessive executive remuneration. At the time, there was a broad cultural aversion to high pay. Fear of moral outrage kept executive salaries in check, pointing to a social norm. This social norm may have held, at least in the US, until the mid 1980s. In essence, the system that operated from the Great Depression until the 1980s relied on the legacy of the 1930s and an almost unstated code in society that the remuneration of senior executives should not increase beyond a quite limited multiple of average pay on the basis that to breach this relationship would be viewed as ostentatious and breaking a norm that acted as a glue in society more broadly. I would go further and argue that this formed the basis of trust, with an expectation of future behaviour and a common value or ethic. Things changed from around the early 1980s. You can label it the 'Greed is Good' era if you can remember the first Wall Street film with Michael Douglas. It is also often labelled as the era in which so-called agency theory came to prominence, in which corporate governance was used to change the policies under which a manager (agent) operates, and thereby emphasise the interests of the owner (principal). This led to a rapid increase in senior executive pay as the limits of the previous social norm were replaced by an approach which used remuneration to incentivise performance. 'In a free-enterprise, private-property system, a corporate executive is an employee of the owners of the business. He has direct responsibility to his employers. That responsibility is to conduct the business in accordance with their desires, which generally will be to make as much money as possible while conforming to the basic rules of the society, both those embodied in law and those embodied in ethical custom'. Friedman started by setting out the essence of agency theory. Some people who know the piece tend to stop there. But let’s go on, because the interesting part for me is when he wrote that the responsibility to make as much money as possible should conform with the basic rules of society, as embodied in the law, and 'in ethical custom'. Here to my mind we have the essence of the issue around trust and ethics. Let’s assume that the intention was to anchor the shift towards an agency theory view in the commitment to conform with the rules of society, embodied in law and ethical custom, and that this would be the anchor for trusting. Looking back, it was an important change in the basis of trust. There is little doubt in my mind that prior to the financial crisis, the culture towards the public interest and ethical custom were essentially permissive, to the point of anything goes. In financial services, it was evident in the advocacy of light touch regulation, the view that left to themselves firms would succeed; and to paraphrase, just as a rising tide lifts all boats, so the whole public interest would benefit. It didn’t work out that way, and in the wake of the crisis we have had to change the approach to regulation in the public interest. In financial services, it was evident in the advocacy of light touch regulation, the view that left to themselves firms would succeed. Before finishing with a few thoughts on what we have done, I want to tackle one more important issue, do we trust people or institutions, or both? This is another very important but not easy question. As the philosopher Katherine Hawley has set out, our confidence in the honesty of certain professions and their members is based on our confidence in the institutional structures, motives and risks which surround them. Behind this is a system of credentials, qualifications and monitoring of standards. The effect of this is to limit the degree to which we have to make case-by-case judgments on individuals. So, on the whole, we don’t ask, 'should I trust my doctor?'. That depends on a well-defined and disciplined institutional framework in which the objective is expressed in terms of the patient or the client, even accepting that the monetary returns can be good. But institutional structures differ in terms of their purpose and objectives and thus their ability to make the necessary commitments. Remember that Milton Friedman put it in terms of making as much money as possible while conforming with the basic rules of society. In contrast, the Hippocratic Oath does not mention making money. The world of financial services is for the most part organised around the corporate institutional structure with shareholder ownership. Companies enter into contracts, which are defined in terms of the rules of law. Principles sit in the background shaping the rules of law, they do not sit in the foreground. So, where we want to see the upholding of ethical principles of society, how do companies make such commitments? As Colin Mayer has described, in much of the interpretation of the UK corporate structure and more than elsewhere, the fundamental duty of the company is to its shareholders and the interests of other parties derive from that primary duty. In contrast, for example, the concept of plurality of interests is more clearly embedded in German corporate law, though at the risk of creating more discretion for directors which can have mixed results. In sharp contrast to the fundamental duty to shareholders Mayer argues that by design and legal construct a corporate is a separate entity from its owners. I take from this that Friedman’s add on of companies conforming with law and ethical custom continues to beg a lot of questions which a School of Business and Society is well placed to tackle. It is no surprise that in the wake of the financial crisis, the question was asked, to what extent are we regulating firms, and to what extent the individuals in them and particularly senior management. In practice, though I should say that here Colin Mayer for one does not agree, this is where the state, and for some industries regulators, come in. The trigger for regulation is that the specific public interest objectives attached to the industry are such that it requires special oversight. Financial services is such a case. But, as we saw from developments after the 1900s, pursuing the public interest through regulation of institutions alone can be problematic. So, it is no surprise that in the wake of the financial crisis, the question was asked, to what extent are we regulating firms, and to what extent the individuals in them and particularly senior management? The answer is both, but with a shift of emphasis towards individuals. This is because using the framework of trust, when we seek commitment we have to look more to the promises of individuals, and likewise the embodiment of ethical standards is most obviously seen in individuals, the senior management? Hence, in UK financial services, starting with banks, we have introduced the Senior Managers and Certification Regime following the work of the Parliamentary Commission on Banking Standards. And at the heart of this regime are 2 very clear concepts, responsibility and accountability. For me, these principles are at the heart of rebuilding trust, and yes, they do represent some re-balancing from corporate institutional to individual responsibility, but I emphasise some. And, in a regulated industry like financial services, the public interest is embodied in the objectives of the regulator. But it is not just for the regulator to pursue these objectives. Critically, and primarily, they have to be internalised by firms and their staff. It is not just for the regulator to pursue these objectives. Critically, and primarily, they have to be internalised by firms and their staff. This introduces another important part of our work on the FCA, namely on the culture of the firms we regulate. Time does not permit to go into this subject, save to say that I very much hope it is something on which we can work with the St Mary’s School of Business and Society. To conclude, is this the route to restore trust? I hope and think so, but we are not at the end of this journey, and arguably never will be. And, in the end, neither the economist, the philosopher or the psychologist is correct on their own. And yes, the lawyer and the regulator have a bit of a role to play.